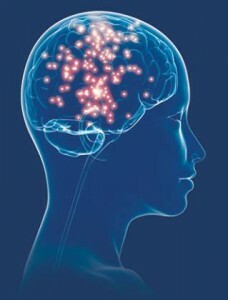 Brain Working Recursive Therapy is a new model of psychology and psychotherapy that embraces the latest thinking on neuroscience and psychological health. It is determinedly solution-focused and in the hands of a trained practitioner can help provide a speedy and permanent solution for many mind-related difficulties however deep-rooted they might seem to be. BWRT was created by UK professional therapist, Terence Watts, MCGI. It is a totally confidential method that does not require you to reveal your private information or personal secrets to your therapist and is carried out in a completely conscious state. BWRT does not use hypnosis or any concepts that might be considered mystical or unscientific it’s completely logical, practical and down to earth, and for it to succeed only needs you to know what you want to change in your life. Only certified practitioners have been trained to deliver BWRT and all have to adhere to a strict code of ethics. When you attend a session with me I will ask you a few questions about your background and what has brought you to see me however I will not ask you to reveal any secrets or intimate details of your life. I will need to know what you want me to do of course and also how long you have been experiencing the problem. Then I just need to know how you would prefer to feel instead! I will explain fully how BWRT actually works and ask any questions you may have. In all therapies you have a part to play in the process however it is a very easy part – in fact you will need to do little more than keep focussed on how you want to be when the work is complete….that could be the same day we started! If there is anything else you would like to know or if you would like to meet me first either face to face if you live in west Lancashire or via SKYPE please don’t hesitate to contact me.